Getting a good balance of nutrients for you and your baby during pregnancy is crucial but can you meet all your nutritional requirements through diet alone, or do you need to take vitamins for extra supplies? One of the most important nutrients for pregnancy is Folic Acid, and it’s important that you take this supplement when you’re pregnant. It can even help when you’re trying for a baby, too. Women deficient in folic acid are likely to have a greater risk of having a baby with a neural tube defect, such as spina bifida. Folic acid supplements should be taken as soon as possible, until the end of the 12th week of your pregnancy. 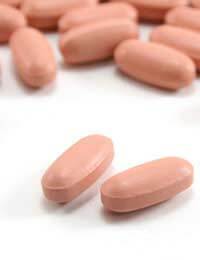 The recommended daily dose is 400mcg, but this is increased to 5mg for those with a history of neural tube defects. On the whole, if you’re healthy and well there isn’t usually a major need to take extra vitamin supplements when you’re pregnant, as a normal balanced diet should provide all the vitamin requirements your baby needs. The following vitamins are important and good levels can be obtained through eating the correct foods. Vitamin B12 plays an important role in making new cells, especially blood cells, and building the nervous system, so it’s advisable to ensure you have enough of it in your diet. If you eat meat, you should be okay, but Vegetarians and vegans and anyone else who doesn’t include meat in their diet may not be getting enough vitamin B12. In cases such as these, taking a supplement may help, but speak to your doctor or midwife for advice. Our bodies make vitamin D when our skin is exposed to sunlight. Along with calcium (we need vitamin D in order to use calcium), vitamin D plays a key role in helping the bones and teeth of your baby develop. Vitamin D is stored in our bodies, but some women may not have stored enough of it to support both their own needs and those of their growing baby. You don’t spend time outdoors between 11am and 3pm each day, regardless of whether the sun is out or not. You usually keep your arms, legs and head covered when outside. You consume little or no dairy products, oily fish or eggs. You live in a part of the country where winter days are short. If this sounds like you, then talk to your doctor, as a supplement may be applicable. It’s not advisable, however, to take supplements randomly without medical advice, especially in large quantities. This is because some vitamins could cause harm to your baby, rather than help their growth. It’s especially so with vitamin A, which has been linked with birth defects when taken in large quantities. So remember to avoid supplements with vitamin A and try not to eat too many foods which contain the vitamin, such as liver. Likewise, you should avoid skin creams which contain retinol A or retinoids, as the vitamin A in them can affect your baby. Not sure what you can and can't eat while you are pregnant? Read our article Which Foods Are Not Safe In Pregnancy?